Salman is Founder of the Firm. He established ‘Salman Arshad’ in November 2012. As of 1st February 2019, the name of Firm is now ‘Aamir Salman Rizwan’. He is particularly expert in housing & real estate, power, textile, manufacturing, pharmaceutical, retail and distribution sectors. His professional experience spans over a period of more than 13 years. Salman has established himself as a renowned assurance and tax expert. 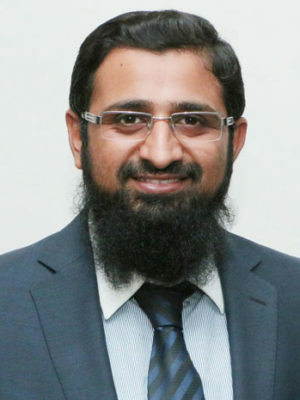 He is also member of several committees of the Institute of Chartered Accountants of Pakistan (ICAP) and Lahore Tax Bar Association (LTBA). He also taught ‘Auditing’ at Punjab Group of Colleges for a couple of years. In the past, Salman held managerial position in ‘Assurance Department’ of Grant Thornton Anjum Rahman for three years. Having worked for a number of years at GT as an assurance expert, Salman enjoys excellent relations with large national and multinational clients. At GT, he was considered to have hands-on skills with GT Assurance tools AuditCARE, GT Explorer and Voyager. Salman has worked with a large variety of clients such as DG Khan Cement Limited, Dawood Hercules Chemicals Limited, ICC Textiles Limited, Master Textile Mills Limited, National Bank of Pakistan, State Life Insurance Corporation of Pakistan, National Bank Modaraba Management Company Limited, Punjab Seed Corporation, Punjab Educational Endowment Fund, Allied Bank Limited and First National Equities Limited. He has also provided services as a financial expert for Nandipur Power Project. He was engagement partner for a nation-wide specific cost verification project of EU Delegation to Pakistan and a number of forensic audits of housing societies on orders of the Hon’ble Supreme Court of Pakistan. Salman is Fellow member of ICAP. He speaks Punjabi and Urdu, and is fluent in English.